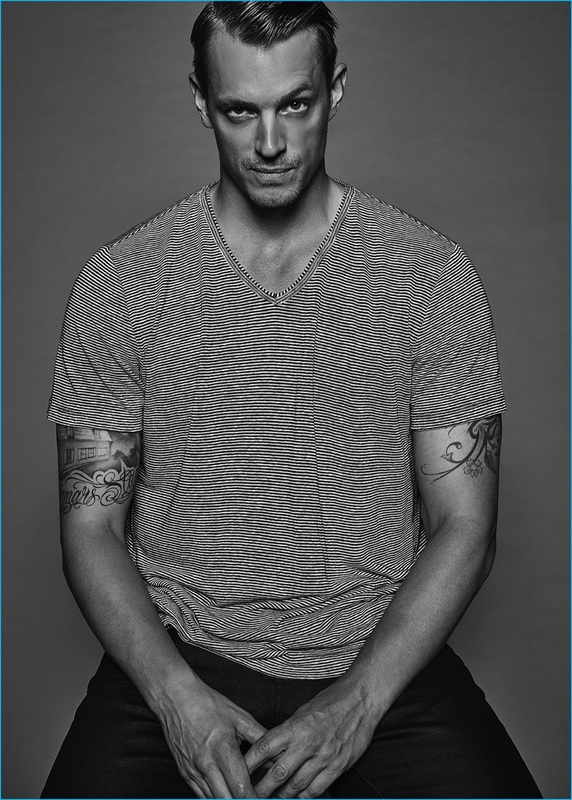 Joel Kinnaman photographed by Dani Brubaker in a t-shirt from AllSaints. 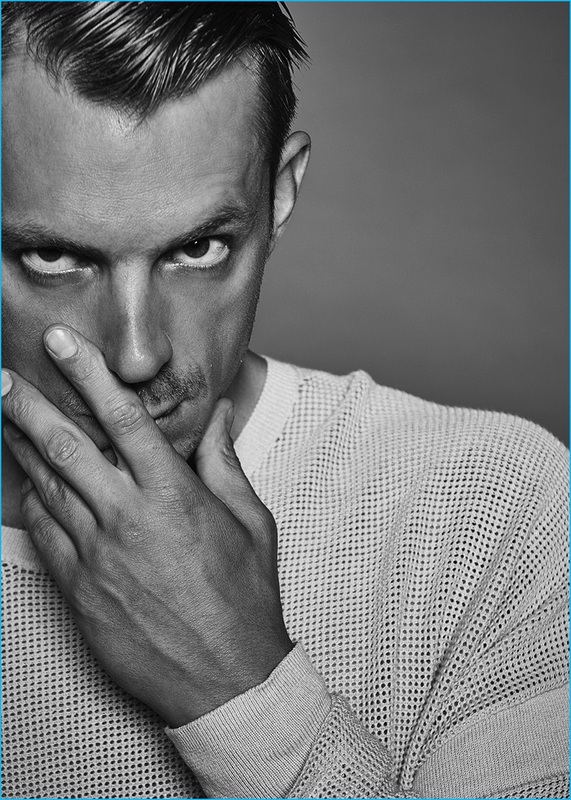 On the heels of connecting with Mr Porter, Suicide Squad actor Joel Kinnaman is photographed by Dani Brubaker (LGA Management) for The Laterals. Captured in striking black & white portraits, Joel is pictured in a wardrobe that includes brands such as AllSaints, John Varvatos, and Vince. / Fashion direction by Juliet Vo. Styling by Nina Kennedy. Grooming by Barbara Guillaume (Art Department). Talking to Kandice Che about Suicide Squad, Kinnaman reveals how he prepared for the role of Rick Flag. 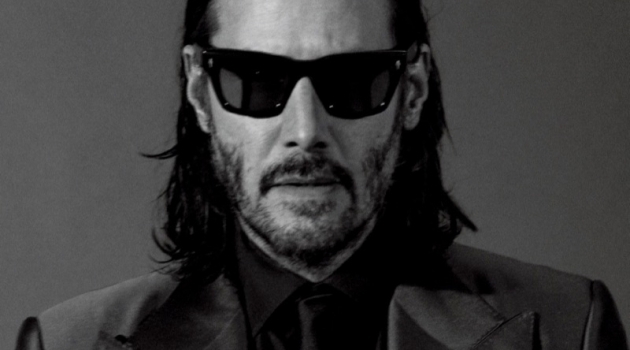 The 36-year-old actor shares, "First of all, [director] David [Ayer] set the table with all these fantastic people that were helping you to dig deeper into your character. I worked with these three real-life Rick Flags, who were Navy Seal/Delta Force Sniper/CIA Operatives, in order to get into the military mind and learn the tactics and techniques with the guns." 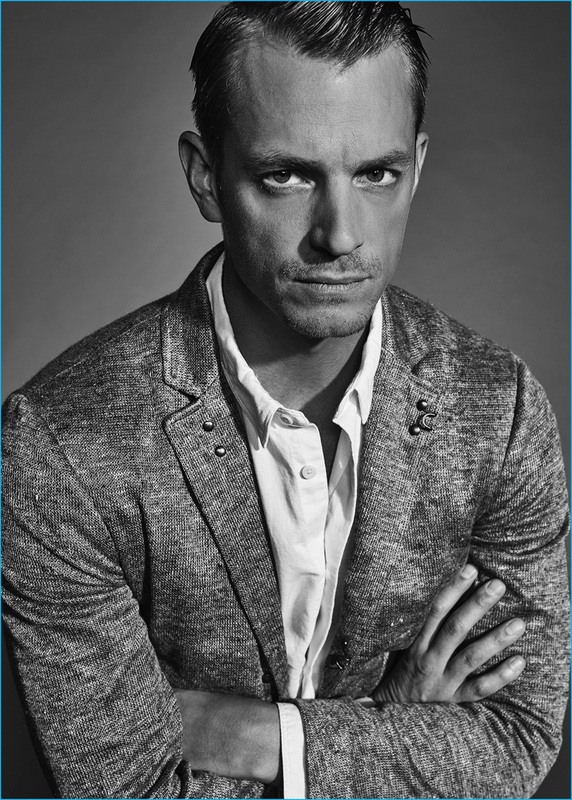 Joel Kinnaman dons an AllSaints shirt with a John Varvatos knit blazer. Kinnaman also explains, "We had very long discussions with David and with his friend who was a 24-year veteran of LAPD, and we would get into these really intensely personal discussions about my biggest fears and shames. 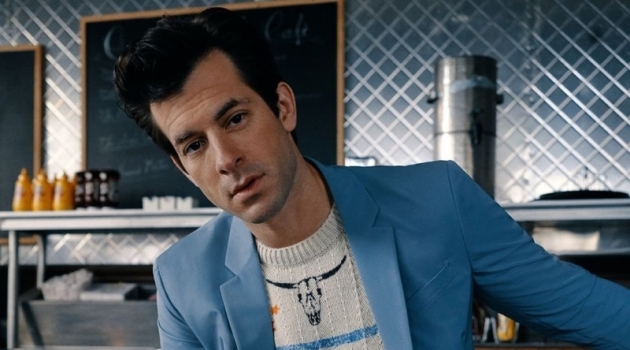 In the case of my character, Rick was faced with a series of humiliations, so David thought it would be a great idea to completely violate that trust and betray me in front of everyone and humiliate me (laughs) in order to get a unique reaction. Acting is just a series of humiliations. I obviously never shared anything with him after that." Read more on TheLaterals.com. Joel Kinnaman pictured in an open weave sweater from AllSaints. 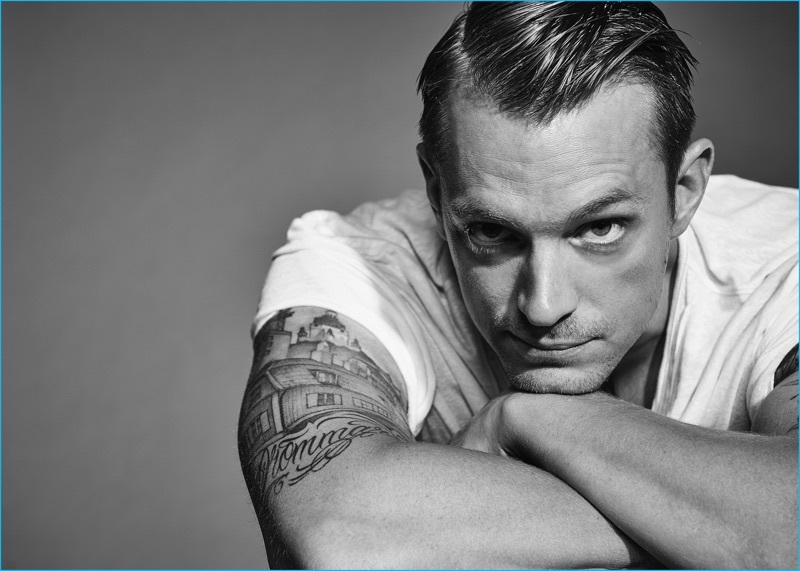 Joel Kinnaman goes casual in a striped AllSaints v-neck and Vince pants.